SS 304L Tubes, 304L Stainless Steel Pipes, SS UNS S30403 Pipes, ASTM A312 Stainless Steel werkstoff nr. 1.4306 Seamless Pipes & Welded Tubes Supplier & Exporter in India. Offered pipes and tubes have achieved wide appreciation in the international arena due to their elegant finish, impeccable quality and corrosion free characteristics. The stainless steel used in the manufacturing of these pipes and tubes is of best quality. Both 304 stainless steel and 304L stainless steel provide a general purpose stainless steel with good resistance to atmospheric corrosion, to many organic and inorganic chemicals and to food and beverages. We are Manufacturing SS 304L Pipes & Tubes of high quality raw materials. We provide a wide range of SS 304L Pipes and Tubes in Seamless, Welded, SAW, LSAW, DSAW etc. These stainless steel 304L pipes & Tubes are known for excellent tensile & material strength, and are offered in various dimensional specifications as required by the clients. 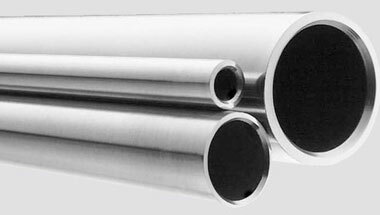 SS 304L Stainless Steel Pipes & Tubes are used widely in equipment and utensils for processing and handling of food, beverages and dairy products. Stainless Steel tubes SS 304L Pipes, SS 304L Tubes, Stainless 304L Seamless Pipes & Tubes etc. These products are available at best possible prices which is another important feature exhibited by our products range. Stainless Steel 304L ERW Pipes, SS 304L Seamless Tubes, Steel 304L Welded Pipes, Stainless Steel 304L EFW Tubes, Stainless ASTM A213 / A249 Seamless Pipes Manufacturer in India. Nigeria, UAE, Italy, Brazil, New Zealand, Tunisia, Peru, Uganda, Egypt, United States, Australia, London, Saudi Arabia, Argentina, South Africa, UK, Sri Lanka, Kazakhstan, Algeria, Germany, Colombia, Cameroon, Democratic Republic of the Congo, Vietnam, Sudan, Bahrain, Angola, Mozambique, Iran, Ethiopa, Malaysia, Dubai, Morocco, Kuwait, Canada, Venezuela, Indonesia, Chine, Turkey, Ghana, Iraq, Africa, Trinidad and Tobago, Thailand (Bangkok), Mexico, Houston, Jordan, Israel, Azerbaijan, Russia. Jerusalem, Dar es Salaam, Mbuji-Mayi, Kinshasa, Bamako, Muscat, Fez, Rabat, Durban, Tehran, Data from the UN, Port Elizabeth, Yaoundé, Freetown, Kano, Tripoli, Manama, Cape Town, Dakar, Doha, Lubumbashi, Dubai, Cairo, Casablanca, Khartoum, Kolwezi, Algiers, Maiduguri, Antananarivo, Beirut, Conakry, Johannesburg, Mogadishu, Byblos, Istanbul, Dammam, Omdurman, Cairo, Aqaba, Alexandria, Singapore, Douala, Sharm el-Sheikh, Ibadan, Mecca, Zaria, Kaduna, Tel Aviv, Amman, Pretoria, Riyadh, Maputo, Abu Dhabi, Bethlehem, Soweto, Lagos, Hong Kong, Subra al-Haymah, Accra, Nairobi, Abidjan, Benin, Addis Ababa, Kampala, Bulawayo, Lusaka, Port Harcourt, Brazzaville, Luanda, Giza, Jeddah, Colombo, New York, Harare, Ouagadougou.